MANILA, Philippines – Celebrity stores by famed Filipino personalities are now on Shopee. 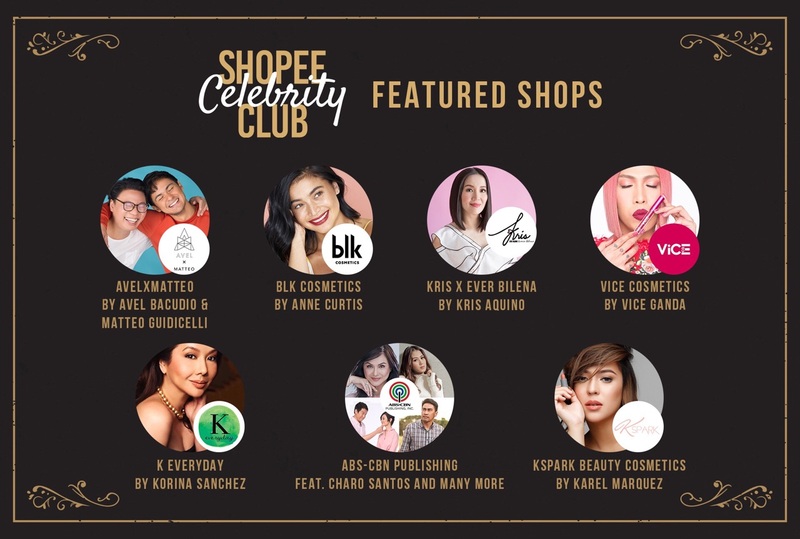 The leading e-commerce platform in Southeast Asia and Taiwan has launched "Shopee Celebrity Club", featuring curated collection of products, including brand ambassador Anne Curtis, Avel Bacudio, Matteo Guidicelli, Vice Ganda, Kris Aquino, and more. "We know Filipinos adore their homegrown celebrities, and we began to notice a rising demand for their products. We are proud to be the first e-commerce to officially launch such an initiative in the Philippines and look forward to even more exciting celebrity collaborations to come,” Jane Lim, Director of Shopee Philippines said. The launch of apparel label Avel x Matteo by Filipino designer Avel Bacudio and actor Matteo Guidicelli added excitement on the kick off of Shopee Celebrity Club. “After a year of planning and creating, I’m finally able to share these ripped, stretch and lightweight jeans with everyone. This is my first time venturing into the fashion industry- collaborating with Avel and launching exclusively in Shopee make it extra special for me, ” said Matteo Guidicelli. Bacudio revealed that 20 percent of the sales of #AvelxMatteo will help visually impaired children in La Trinidad Benguet. From July 4 to 7, a 20% storewide discount on selected celebrity shops will be given. As a special treat, Shopee in collaboration with Grab Express, will also offer same-day delivery to all celebrity stores for free! For more information about Shopee Celebrity Club, visit https://shopee.ph/ShopeeCelebrityClub.